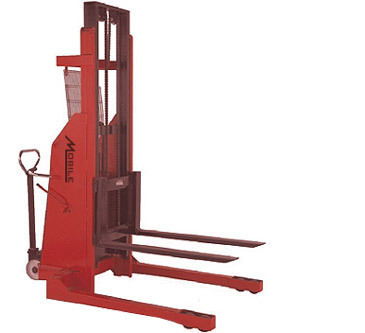 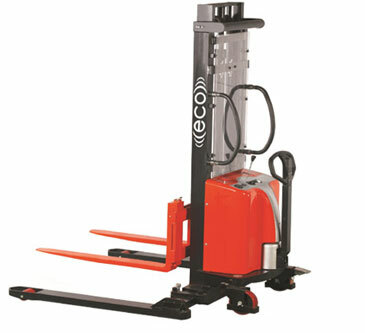 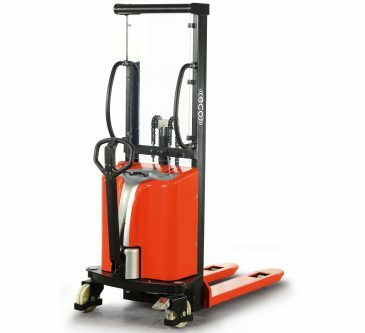 ECO "EHS22FFN/ETHS22FFN" Fork Over Battery Hydraulic Stacker - MOBILE INDUSTRIES INC. :: Material Handling Tranport, Lift and Warehouse Equipment. 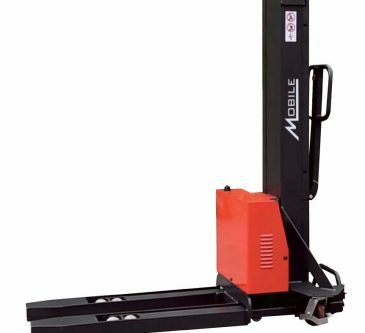 Mobile’s Battery Hydraulic Stackers provide users with a safe and efficient means of lifting and stacking pallets and other material goods. 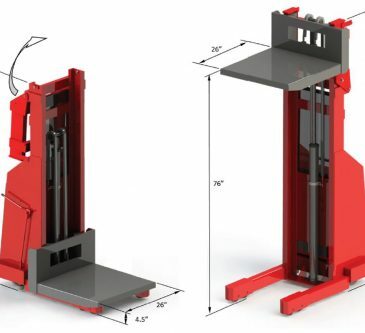 Each Battery Hydraulic Stacker is designed to lift and transport pallets and is ideal for unloading trucks in facilities without loading docks. 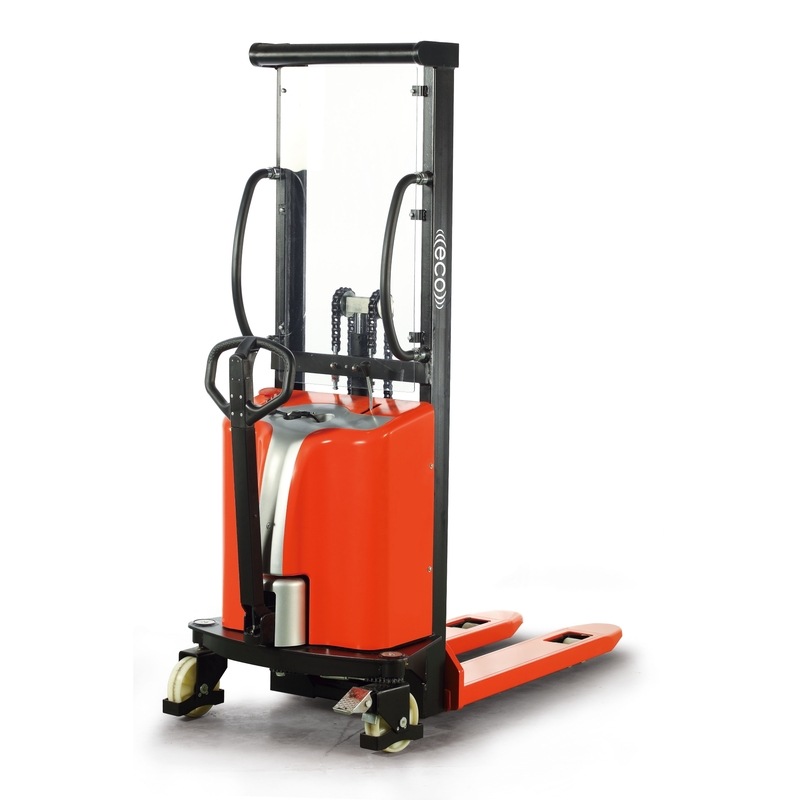 • Lightweight/Compact for easy manoeuvrabilityo.